Posted on June 25, 2010 by Daniel T..	Bookmark the permalink. ← Office 2010 party getting rick rolled! HAHA! I just saw this last night! Is this at Promenade MRT? 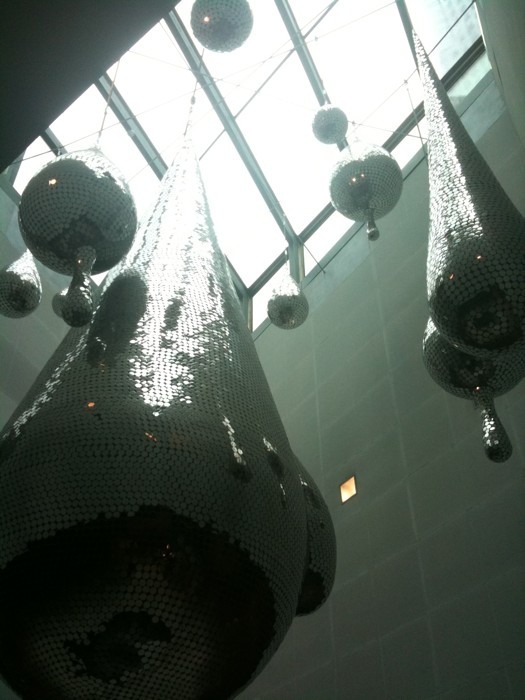 :)) My bf saw them and went ‘DISCO BALLS!’ and when we walked under these ‘balls’ we saw that they were really drops, not balls. hehe. Haha, yea that’s Promenade MRT!